When you purchase a life insurance policy, you are securing the financial security of your family. It’s affordable and provides both you and your loved ones the peace of mind that things will get taken care of if the unexpected happens. However, despite its benefits, a life insurance policy can present its own set of problems when the insurer passes away. As with real estate and other personal property, the benefits from a life insurance policy are subject to government taxation. Death benefits can pay out substantial sums of money. The insurance company pays out the benefits immediately upon the death of the insurer. This scenario creates not only a large tax burden for your family members but managing and distributing the proceeds can become overwhelming and confusing for your heirs. 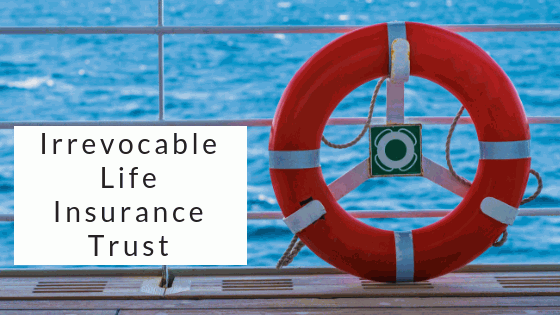 An Irrevocable Life Insurance Trust (ILIT) can help mitigate some of the issues that a life insurance policy can create. An ILIT is similar to a life insurance trust with the exception that it takes into account an active life insurance policy. Therefore, with an Irrevocable Life Insurance Trust, a grantor can transfer the life insurance policy into the trust. It’s the same process as transferring property into a traditional living trust. The tax advantages are the most significant part of an ILIT. An Irrevocable Life Insurance Trust can reduce your taxable income considerably. It gives you say as to when and how the proceeds are to be distributed. Setting a future date helps prevent an immediate payout which can make it difficult for family members to manage. If you have family members with special needs who depend on government assistance, you can ensure that they continue receiving that aid after your death. Establishing an Irrevocable Life Insurance Trust or any other form of trust is a wise estate planning strategy. Speak to one of our estate planning attorneys today to see if an Irrevocable Life Insurance Trust is right for you.